In search of a new favorite Southern restaurant? 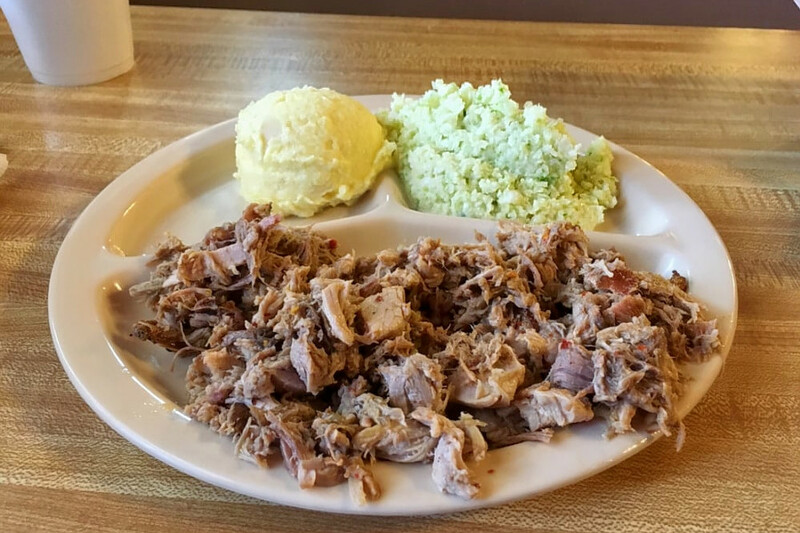 Hoodline crunched the numbers to find the top Southern spots around Goldsboro, using both Yelp data and our own secret sauce to produce a ranked list of the best eateries for barbecue, hush puppies and more. Topping the list is McCall's Bar-B-Que & Seafood. Located at 139 Millers Chapel Road, it is the highest-rated Southern restaurant in Goldsboro, boasting four stars out of 55 reviews on Yelp. The casual restaurant, which has been open since 1989, specializes in pit-cooked barbecue pork and Calabash-style seafood. Stop in for daily lunch specials and Southern classics like barbecue chicken or pork, deviled crab or broiled shrimp. 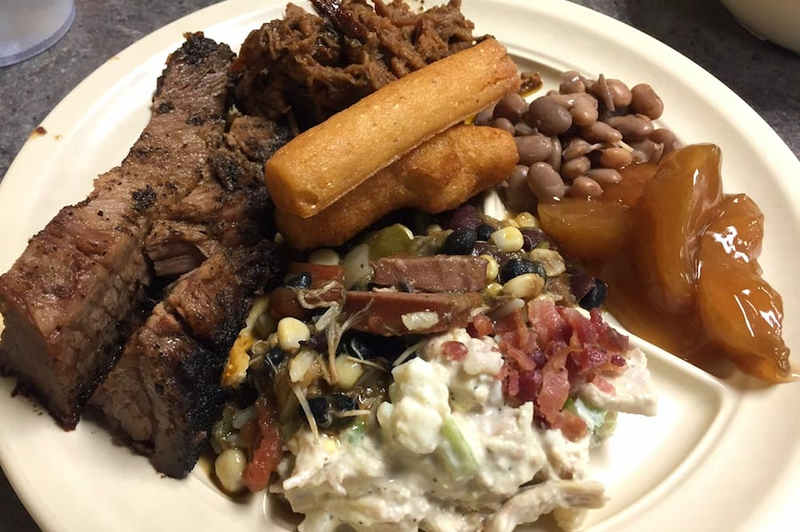 Round out your meal with traditional sides, such as barbecue potatoes, hush puppies, green beans, potato salad, butter beans, Brunswick stew, field peas and more. Next up is Smithfield's Chicken 'N Bar-B-Q, situated at 2904 US Highway 70 West. With 4.5 stars out of 13 reviews on Yelp, the spot to score barbecue has proven to be a local favorite. 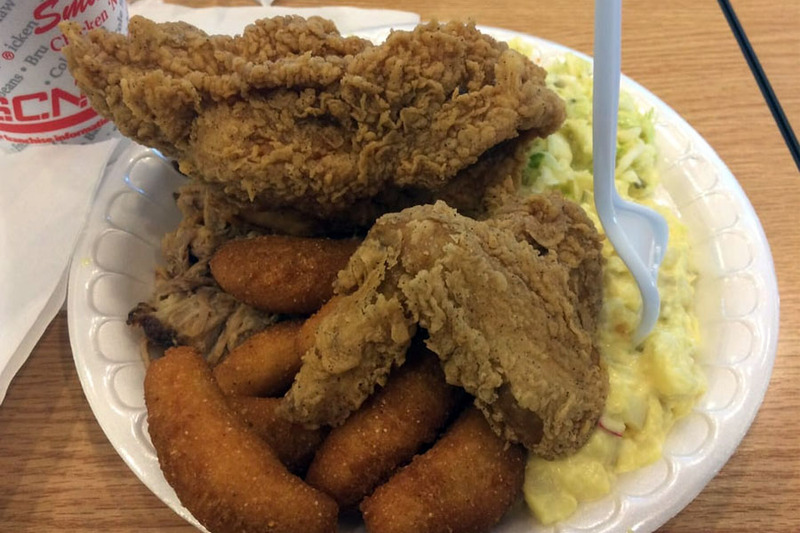 The North Carolina chain, which has dozens of locations across the state, has offerings like dark chicken platters with coleslaw, potato salad and hush puppies; fresh eastern Carolina-style pulled pork on a steamed bun with or without coleslaw; and shrimp barbecue with coleslaw, french fries and hush puppies. Then there's Dee's Diner, located at 1314 W. Grantham St. in the Little River Shopping Center. The popular eatery, serving up Southern fare and soul food, has received four stars out of 11 reviews on Yelp. On its website, the restaurant touts its "Good Ole Southern Cooking" and made-from-scratch dishes. 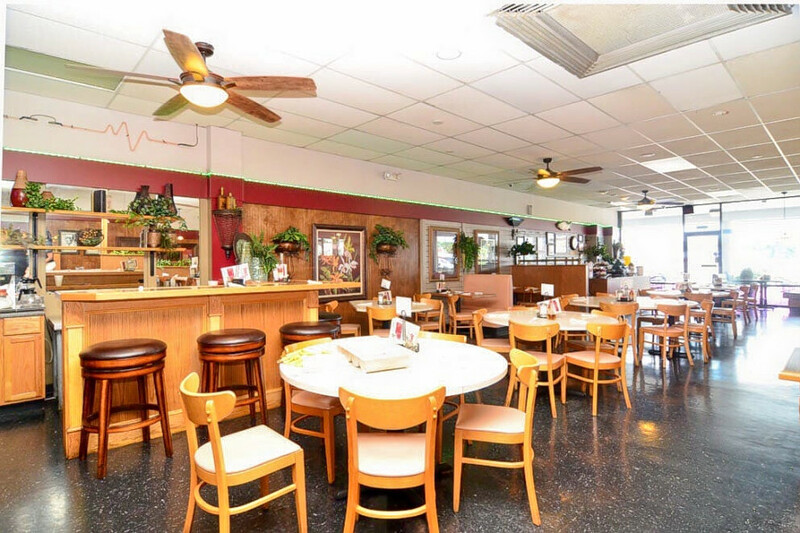 In the morning, breakfast offerings include housemade biscuits with white country gravy; omelets; and egg plates served with grits, hash browns or home fries and choice of breakfast meat. Later in the day, the menu features the hot roast beef sandwich with gravy, hamburger steak plate smothered in grilled onions and gravy and hot wing baskets.